If imitation is the sincerest form of flattery the founders of Pinterest must be blushing their asses off. Okay, that's a mixed metaphor but my point is that a year or so into Pinterest's relentless adoption spike the number of upstarts that have copied its cutesy tiled bottomless image scroll is astounding. There's Trippy, a straight-up Pinterest for travel and Learni.st, an information-sharing Pinterest. Thinng is a Pinterest clone and TheFancy, a direct rival. WeHeartIt powers "inspiration galleries" and Get Vega is a Pinterest-aping book marketing site. Clipix touts itself an organizational Pinterest "for your real life" and Material Wrld a Pinterest-y clothing resale site. Little Monsters is a Lady Gaga-fied Pinterest and Gentlemint a mustachioed Pinterest. 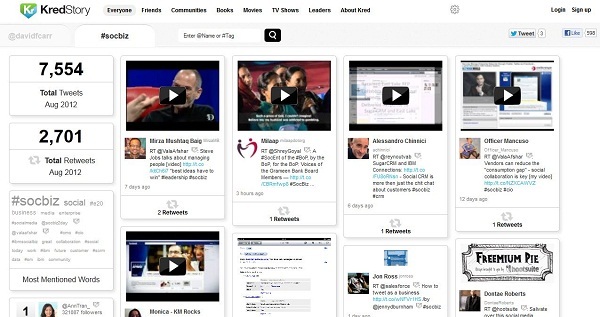 Social identity sites Rebelmouse and Hypemarks have also drunk the Pinterest Kool-aid. Then there's that gaggle of companies that have xeroxed Pinterest's appearance for various functionality. Kred's new Kred Story pages look like Pinterest for your social media activities and LaunchIt is a product launch newsfeed in the form of a Pinterest board. OpenSky's redesigned "Shop by Category" pages are commerce-enabled Pinterest pins and the same goes for the Fab.com Feed. Threadflip uses a Pinterest layout to display its secondhand wares while Etsy looked like Pinterest before there even was a Pinterest. Pinterest Pinterest Pinterest. It's spread like a hot, juicy rumor over Twitter, infecting (or improving, depending on how you look at it) the way we use the Internet. Think of it as the Pinterest-ifictation of the Web. If Tumblr were designed today it might look like Pinterest. All Pinterest did was take the Tumblr feed — a mishmash of uploaded, reblogged and remixed words and images — and make it easier to skim. Rather than scroll endlessly through a single feed of content, Pinterest displays it in as many columns as your browser width can handle. Even some Tumblr layouts now mimic Pinterest's look. The Pinterest look seems most popular with visually arresting sites that specialize in sharing and discovery. Amid that sub-set, it's becoming the standard for user-generated content. It makes sense: most user-generated content is about as engaging as user comments. The faster site visitors can cycle through the stuff that kills brain cells, the more likely they are to encounter something they'll like. And when they do they're apt to stick around. Meanwhile, the locked image widths of the Pinterest tiles make for a clean aesthetic and assists with speed. Users can feast their eyes on hundreds of images at once and consume content, faster, like speed reading photographs. Then they can reblog (or repin, as Pinterest calls it) without leaving their precious bottomless feeds. Because of the absolute glut of images, it doesn't take them long to find something that catches their eye amid the user-generated slush pile. At least that was a prime motivation behind Trippy CEO JR Johnson's decision to revamp his entire site in the style of Pinterest. Because users view images so quickly, "The content they are consuming doesn't need to be perfect," he says. "If two out of 10 images are appealing, that's pretty good, and they'll keep browsing." The early Web was all about maximizing every pixel on the page with a flashing banner ad, link or gif. Then Google wiped it all clean with its frighteningly simple all-white page. Since the advent of Web 2.0, however, we've been desperate for tools to help us digest all the information we now have access to. Countless filters and delivery tools have made small strides toward filtering and personalizing the glut of content available passing us by. Pinterest is the latest and arguably most effective tool that's emerged. In a sense the Pinterest paradigm is a shift toward a more cluttered Web. That's not necessarily bad, though because it's the opposite of the filtered Web. I don't think anyone wants their Internet personalized through a million big data filters. But this new emphasis on personalization goes against the basic human nature of picking. We want to be able to proactively choose what we like. This is why I hate commerce sites without a search box; they can't know what I want better than I do. It's why flea markets and vintage shopping are a fun activity, and why eBay was special and wonderful in the beginning, before Buyitnow, an atrocious user interface and lousy search ruined it. We like to see what's out there, sort through the good, bad and ugly, and pick our favorites. Your average mall shopper will canvas an entire store before taking their choices into the dressing room. Pinterest is that, on methamphetamine. Look at hundreds of images. Bookmark, "heart," pin, or share the ones you like. Over and over and over, in a matter of minutes. It's the opposite of the elitist, perfectly edited women's magazine. It's chaotic beauty. The anti-algorithm.